Sea Dwellers and Friends offers an aquarium maintenance service for both commercial and residential aquariums. We also service Lobster tanks and Retail Sales displays. Services are offered on a weekly, semi-monthly, and monthly basis. Some clients call us “as needed”. Scheduled clients receive priority over “as needed” but we can usually work “as needed” clients in within 2 weeks. The maintenance fee is determined by a number of factors such as distance from Angola, size of aquarium, type of aquarium, frequency of cleaning, etc. Supplies like salt, filter cartridges, fish food, etc., are not included in the maintenance fee. A service call for freshwater aquarium in Angola could run as little as $45. Have you just purchased a used aquarium? Don’t know how to assemble the aquarium set up or what additional equipment you may need? Our technicians can help! We can help you sort through the equipment and show you how to use it. Schedule your consultation today. 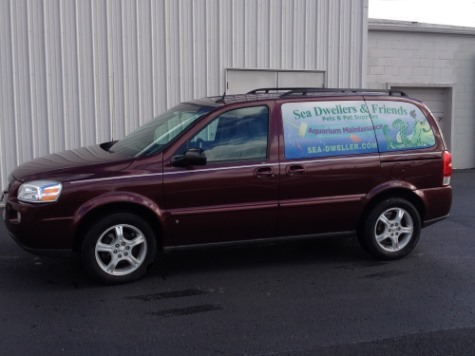 Sea Dwellers and Friends has been performing professional aquarium maintenance since 1987. Contact us for more information.